Mon., Dec. 19, 2016, 8:05 p.m. 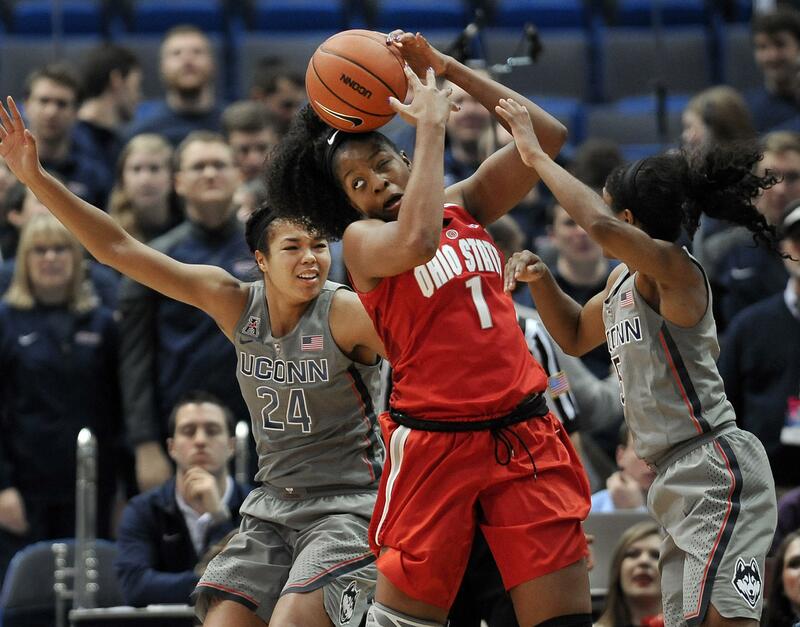 The UConn Huskies are still the unanimous top choice in The Associated Press women’s basketball poll after having a week off for exams. UConn received all 33 first place votes from a national media panel Monday for the second consecutive week. The Huskies beat No. 12 Ohio State 82-63 on Monday night to extend their game winning streak to 85. With most teams on break for exams, there wasn’t much movement at the top of the poll. Notre Dame, Baylor, Maryland and Mississippi State followed UConn. South Carolina, Florida State and Louisville were next with Washington moving up two spots to No. 9. UCLA fell one place to 10th after losing to the Gamecocks on Sunday. Kansas State and Oregon State entered at No. 24 and 25 while DePaul and Oregon fell out. It’s the Wildcats first ranking since 2012. Published: Dec. 19, 2016, 8:05 p.m.